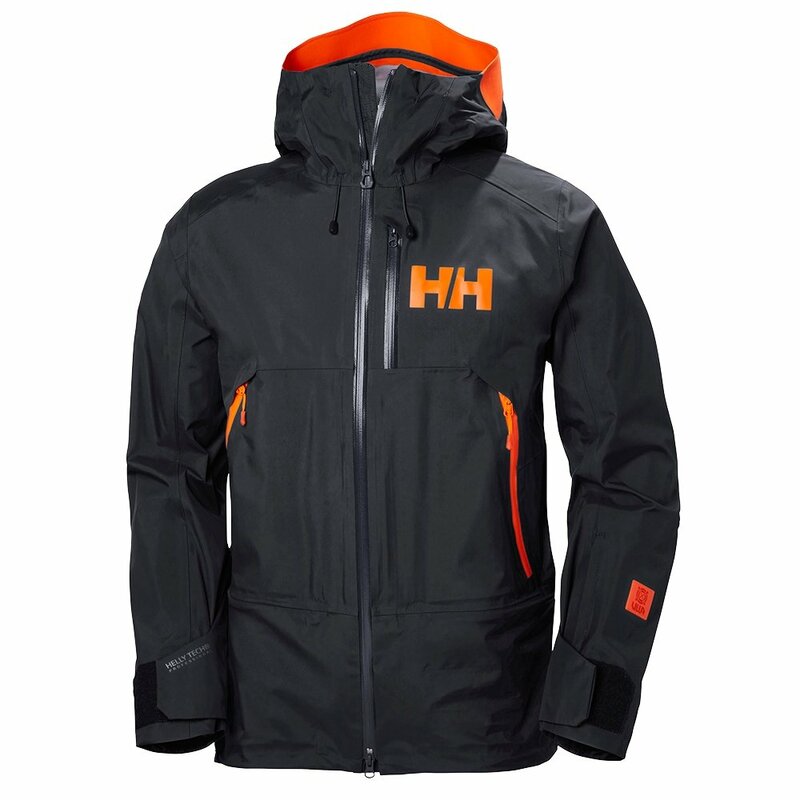 Take your skills and passion for powder to the backcountry in the Helly Hansen Men's Sogn Shell Jacket. Providing top-notch weather protection with ample room to move, this ski shell uses 3-ply construction, which includes an ultra-waterproof Helly Tech® membrane, so you'll stay dry when blasting through the pow. The men's jacket is fully seam sealed to keep moisture out and comes with an attachment system to hook up with your pants. Ventilated, helmet-compatible and equipped with plenty of secure pockets, the Sogn Shell is your friend when the powder's fresh. 3-ply construction provides durable, ultra-waterproof protection. Fusion modular system for jacket-to-pant attachment. Helmet-compatible hood adjusts for comfort.